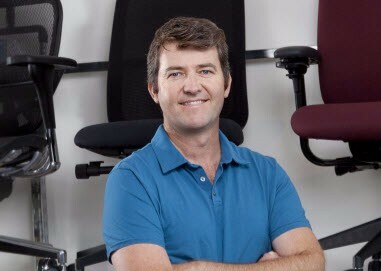 Our founder, Jon Paulsen, MS, CPE, started SquareGrove Office Furniture in 2002 when, as an Ergonomics Engineer, he saw many people buying ergonomic products without understanding how they were helping from an ergonomics perspective. In the beginning, Jon was a one man e-commerce store. He knew ergonomics but had no idea how to run a business except for a desire to offer exceptional customer service and expert advice. Luckily, Jon’s ergonomic engineering background, along with his focus on serving and educating his customers, translated well into running a business and the company has grown from there. Our founder, Jon Paulsen, is a Certified Professional Ergonomist and our offices are outfitted with the same products that we sell. We know what works and what doesn't, and have our customers' best interests in mind. Call us - we're here to help! Our company is centered around customer service, expert knowledge, and forging partnerships with our customers. We recognize that the growth of our business is directly driven by our customer service and education. Our Mission is to deliver sincere, world-class service and provide solutions that benefit our customers. We help. UPLIFT Desk manufactures height adjustable desks, seating, and office accessories - designed by our in-house engineers - to provide the best in quality, function, and ergonomic benefits. With endless combinations of desktop choices and accessories, it’s easy to create a sit-stand workstation perfectly suited to your needs, all at an unbeatable price, with the best warranty in the business. Established in 2002, Human Solution is one of the largest providers of ergonomic furniture and work accessories. Our founder is a Certified Professional Ergonomist with a Master’s in mechanical engineering, and we’re staffed by experts who use our products every day. We focus on providing personalized advice and exceptional products at fair prices. 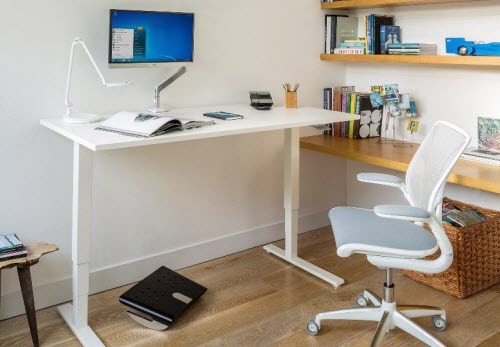 UPLIFT desks were rated the number one standing desk by Lifehacker readers. Our CEO, Jon Paulsen, was interviewed in Forbes magazine. The LA Times recommended UPLIFT desks as an affordable and easy-to-use sit-stand solution. The Huffington Post joins UPLIFT desk users like Google, NBC, Yahoo and eBay. UPLIFT was featured as one of kk.org's Cool Tools. Reasonably priced and attractive...I love it. It helps me stay healthy and productive. We ship worldwide and are open 24/7 on our websites! The SquareGrove Office Furniture family of stores includes multiple websites, and a retail showroom in beautiful Austin, Texas at the corner of Anderson Lane and Burnet Road. Come on down to the store, bring your laptop, sit at one of our UPLIFT desks and play around with our different ergonomic chairs, keyboards and mice until you find the right office setup for you! We’ll even pour you a cup of coffee to make you feel that much more at home while you’re trialing our products. Our team of ergonomic experts are there to answer any questions, and we have special deals for locals! We're located at 2139 W. Anderson Lane, and we're open from 10am to 6pm Monday through Saturday.